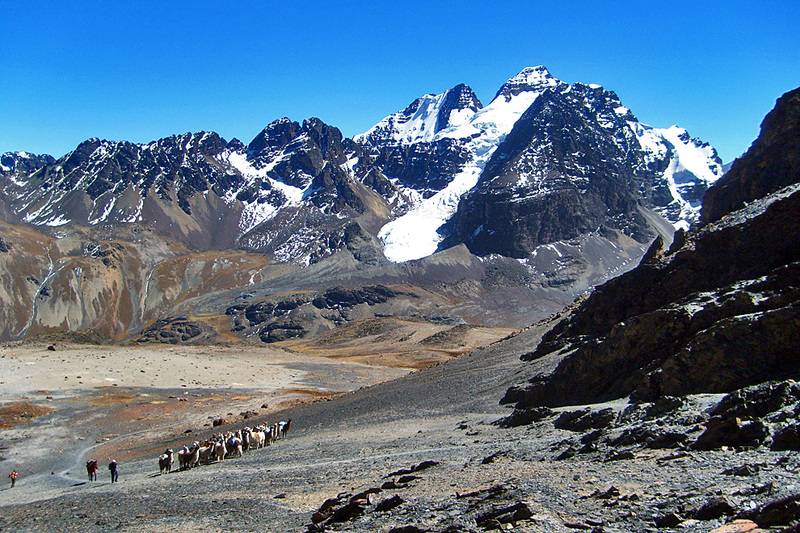 "The newest Cordillera Real Traverse passes the most intact glacial wilderness in Bolivia"
This new Cordillera Real route passes the most intact glacial wilderness with great diversity of scenery, including lovely alpine valleys with picturesque lakes, snow-capped peaks and scattered Aymara Indian villages. 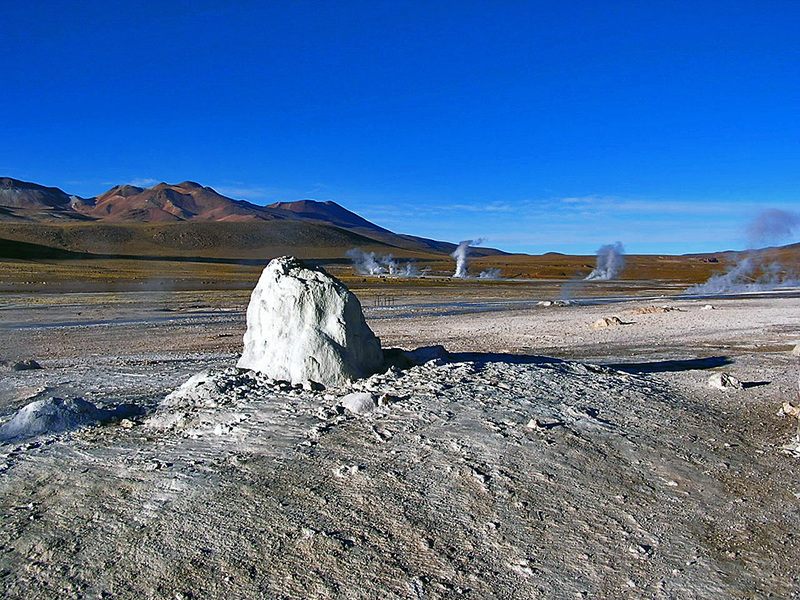 Before setting off on the trek, we will acclimatize around the snowy mount Sajama and hike in the red deserts of the Western Volcanic range which straddle the Bolivia/Chile border. 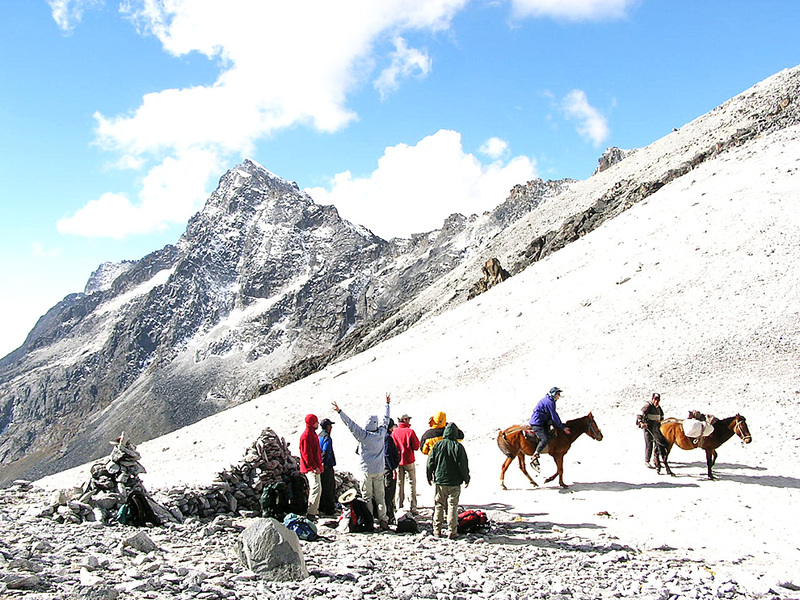 The trekking route sticks to high trails and crosses five passes over 5000 metres (16400 ft). There are 10 passes to cross almost one every day. 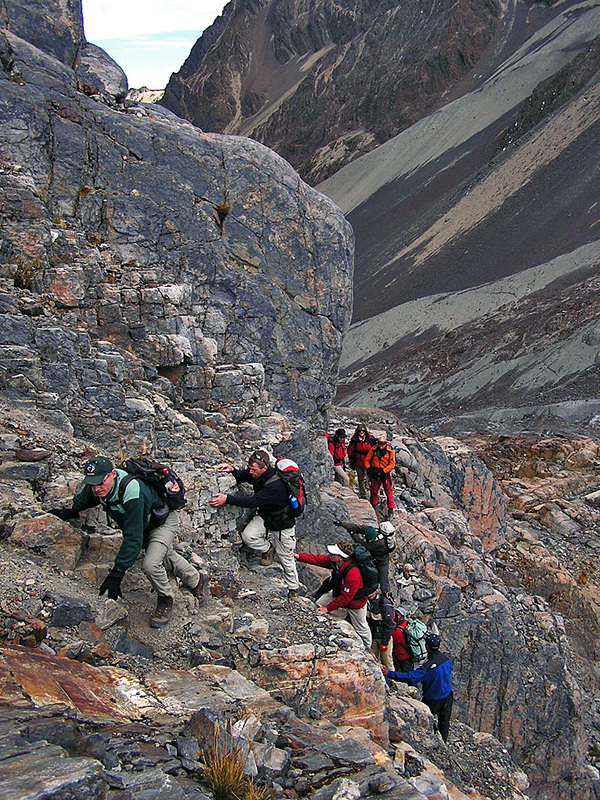 The Azimut Explorer staff and you, will follow a good trail throughout, but the underfoot conditions do vary: we will walk over rocky passes and scree, from Inca stone steps to grassy tracks. DAY 2: CITY TOUR. Half day to discover the town of La Paz and its indigenous markets, museums, viewpoints and the eroded landscape of Moon Valley. DAY 3: TO TOMARAPI. Car transfer. 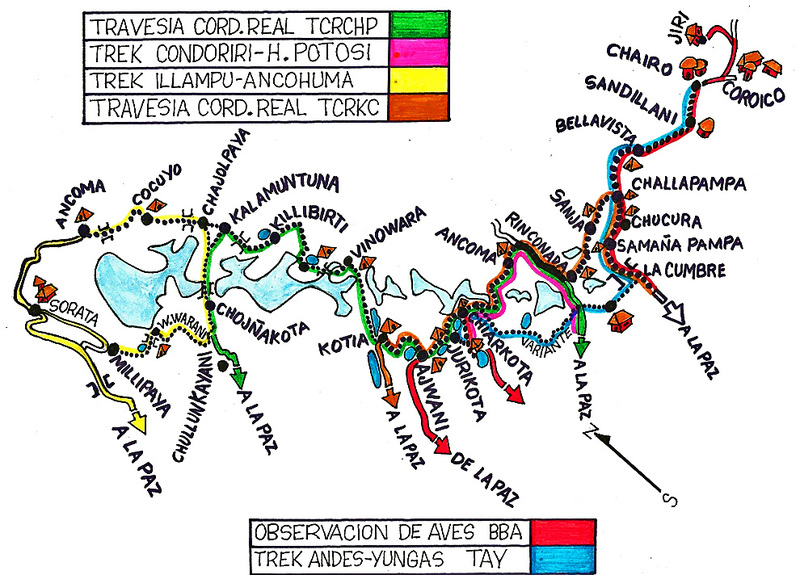 Visit of Pre-Inca remains, hike in lava flow canyons. Lodge. DAY 4: HIKE TO KASIRI. 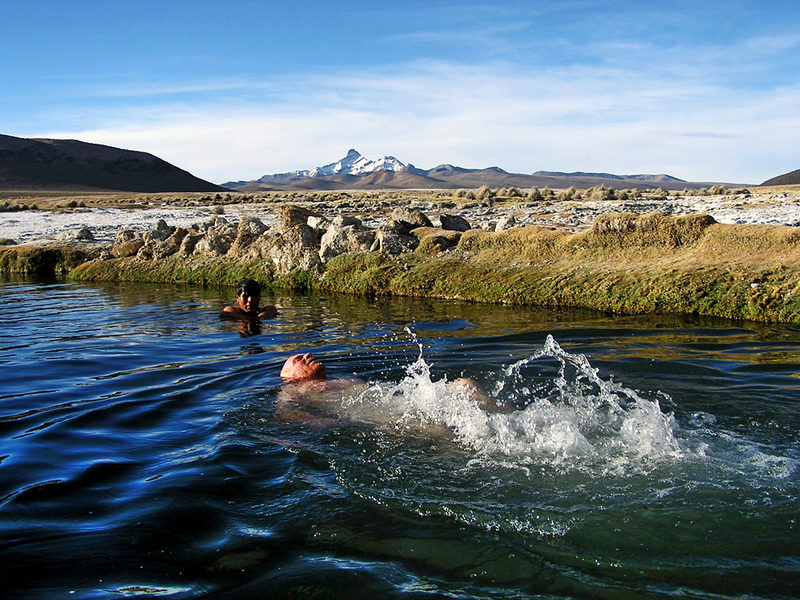 Hot springs where you can swim and geysers en route to the Kasiri Lagoons. DAY 5: RETURN TO LA PAZ. Hotel. DAY 6: TO CHULLUNCAYANI. Car transfer to the starting point of the trek. 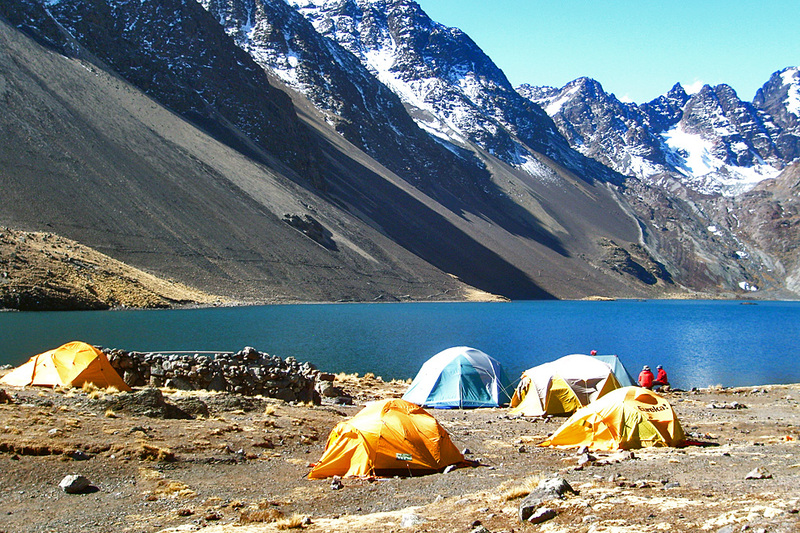 Camp near snowy peaks of Cordillera Real. DAY 7: TO CHOJÑAKOTA. Trek and camp. DAY 8: TO KALA MUNTUNA. Trek and camp. DAY 9: TO KILLIBIRTI. Trek and camp. DAY 10: TO LECHEKOTA. Trek and camp. DAY 11: TO VINUWARA. Trek and camp. DAY 12: TO KOTIA. Trek and camp. DAY 14: TO AJWANI. Trek and camp. DAY 15: TO JURIKOTA. Trek and camp. DAY 16: TO CHIARKOTA. Trek and camp. 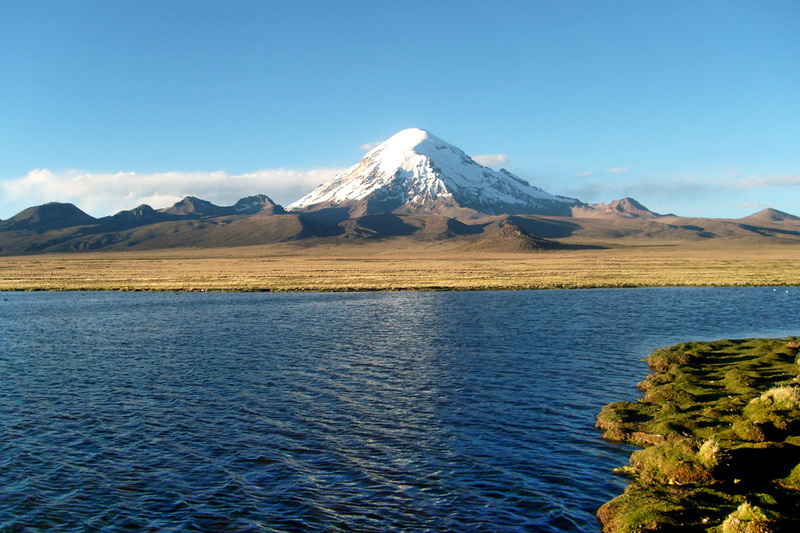 DAY 17: TO BOTIJLACA AND RETURN TO LA PAZ. 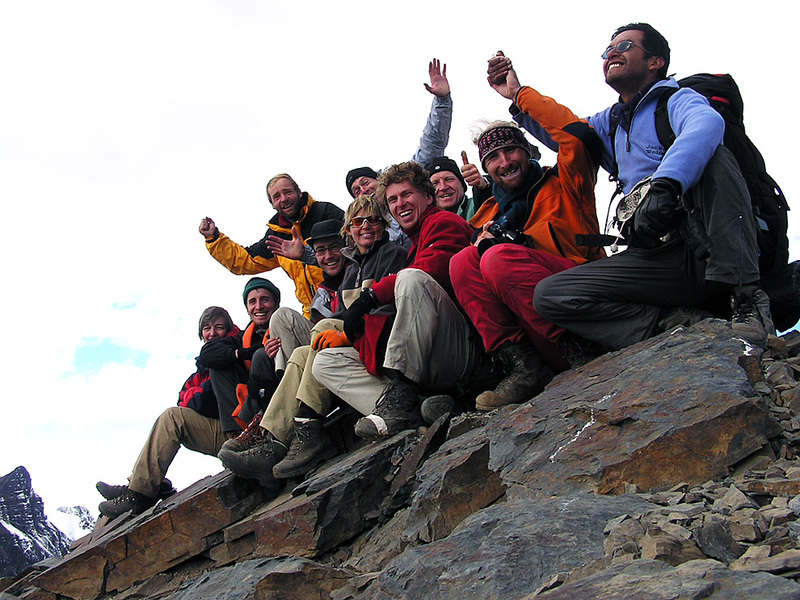 Trek and transfer to La Paz. DAY 18: TIWANAKU. Half day to visit pre-Incan temples and palaces. DAY 19: DEPART LA PAZ. Transfer to the airport. End of our service. BRING: anorak, sleeping bag, warm gloves, polar jacket, thermal underwear, sun glasses, head torch, sun block, sun hat.